Nurturing character, creativity and relationships are the highest forms of human expression and are essential competencies in education to ensure that students have the capacity to positively contribute to their work, communities, nation and world. This session will highlight the importance of having educators that can expose their students to experiential models that nurture good character, integrity, universal principles and shared values so that they are competent in the application of knowledge and skills for the greater good and benefit of humanity. Explore what future classrooms and schools can look like and the approaches that great teachers are pioneering in educating the total child. Dynamic discussion will include topics on Moral and Innovative Leadership for Professional Development, Collaboration and Communication, Creating Peaceful Schools, and much more! 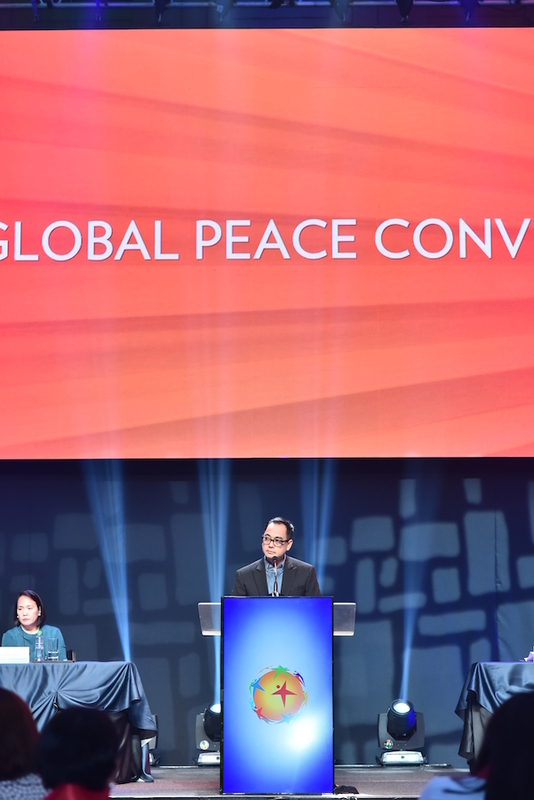 Wherever you are, you can be a part of the 2019 Global Peace Convention in Seoul. Sign up for newsletters so you don’t miss the latest on transformative education and its contribution to peacebuilding around the world.